TORQ at Cycle 2003: Stand 114.  Yes we’re going to be exhibiting at the greatest show on earth this September – assuming you’re a cyclist that is? Cycle 2003 opens to the public on Friday 26th September and closes 4pm on Sunday 28th and will feature all your favorite ‘bikey’ things all under one roof. 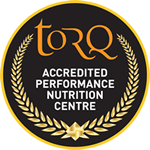 TORQ Fitness will be promoting the new TORQ bar, TORQ ribose and TORQ energy as well as its fitness training and consultancy services, so please come along for a chinwag and taste the new TORQ bar (which we’ll be cutting up for you to try). In the meantime, if you’re doing ‘Dusk Till Dawn’ in Thetford, we’ll be there all through the night with real coffee on the go and a seat for those who dig deep and purchase a box of bars or one of our other products. Luca’s Tour. Days 15 to 26.